What are your reasons for wanting a naturally white smile? Perhaps a special event, like a wedding, graduation, or trip, means you want your smile to look its best at every photo opportunity. Dr. McMillan is thrilled to offer his patients the KöR Whitening System at his Burke dental office. This truly phenomenal teeth whitening process ensures exceptional results for each and every patient. Why Choose the KöR Whitening System? The revolutionary science behind the KöR Whitening process addresses all these issues to provide long-lasting whitening, little to no sensitivity, and miraculous results on super-resistant stains. 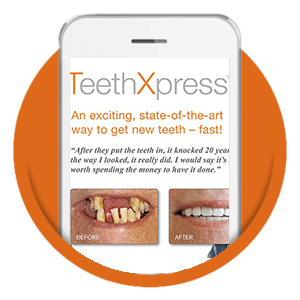 Store-bought teeth whitening kits and professional whitening treatments available at the dentist are all affected by these elements which reduce the ability of the gel to whiten your teeth to their full potential. How is KöR whitening different? Heat is an enemy for whitening gels. The makers of KöR take considerable effort to ensure that the gel is continuously refrigerated from the moment it leaves the manufacturing plant until it arrives at your dentist’s office. The take-home gels you receive to maintain your results need to stored in the refrigerator immediately after your dental visit. It takes very little saliva to contaminate whitening gel. The uniquely designed KöR-Seal™ trays provide a seal to reduce contact with saliva. The trays can be used for nighttime teeth whitening to provide 6-10 hours of exposure as compared to around 30 minutes using other options. Another KöR innovation is the delivery system of the gel. The active chemicals in teeth whitening gels break down over time. A triple barrel configuration ensures that the active ingredients are kept separate until the moment they are applied, maximizing the effectiveness of the formulation. Most whitening treatments result in at least some sensitivity in the day following the application and even discomfort during the procedure. KöR desensitizers are applied by your dentist before the gel and daily by the patient at home. The science behind what reduces tooth sensitivity is impressive. Basically, rather than treating the symptoms of tooth sensitivity, the desensitizer prevents the physical change that causes the discomfort. If you want the details, read more under How does the KöR Whitening System combat the sensitivity issue? The KöR Whitening System does not use bleaching lights or lasers like other methods. Various clinical studies have proven that the photon energy from the lights and lasers combined with the hydrogen peroxide bleaching process actually causes tooth sensitivity and pain. It’s no surprise that, based on what we’ve already discussed, the KöR Whitening System works better than any other teeth whitening method. In fact, it can lighten your teeth up to 16 shades or more. The KöR system penetrates deep to whiten even tetracycline-stained teeth by restoring your teeth’s natural ability to absorb oxygen. Everyone’s smile is different. Your dentist can determine the best treatment protocol using the KöR system to give you stunning results. To get the most of your treatment and experience truly white teeth, you may need to follow up any in-office whitening visit with a certain number of at-home whitening treatments. To maintain your bright smile, your dentist may recommend a periodic, long-term maintenance program to deliver lasting, cost-effective results. Meet Patricia. With her winter wedding approaching, she wanted to make sure her day was perfect down to the smallest detail. With all eyes and cameras on the bride, it’s vital that she looks absolutely stunning on her wedding day, including the right gown, hairstyle, makeup, and breath-taking smile. Dr. McMillan prescribed Patricia the KöR Whitening System including the KöR-Night™ home whitening protocol. Her results were simply stunning! Dr. McMillan is passionate about giving his patients the confident smile they deserve. He offers the KöR Whitening System at his Burke dental office so he can eliminate the doubts, pain, and unpredictability of other professional teeth whitening treatments. 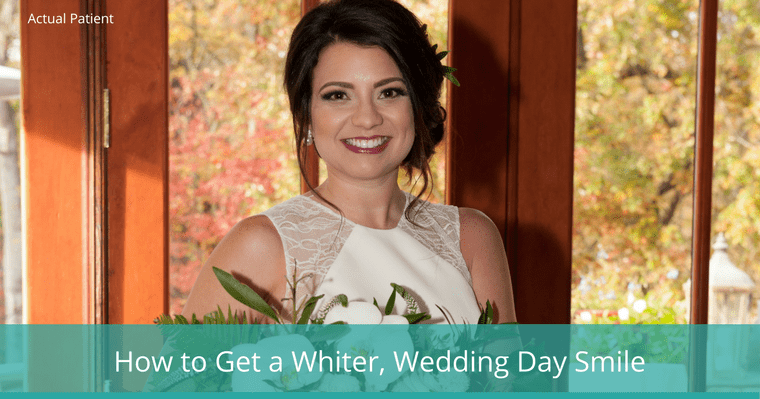 Enjoy a natural, truly white smile for that special occasion or confident smile every day!